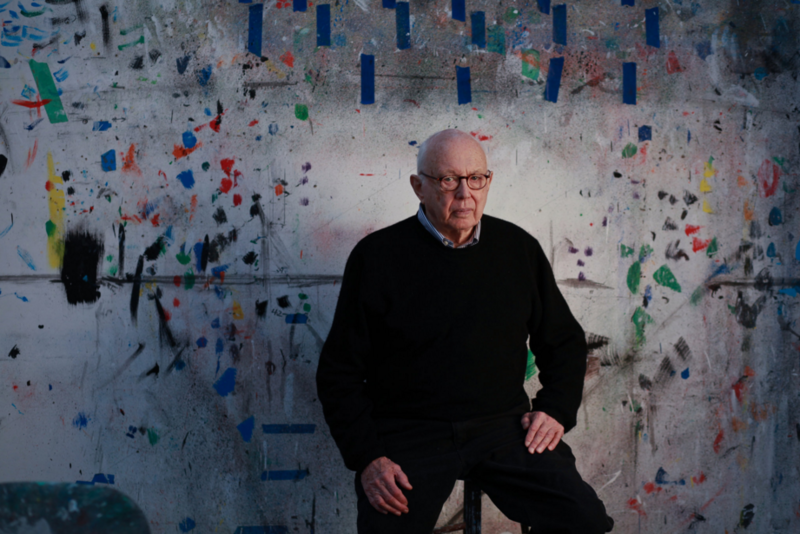 Legendary abstract artist Ellsworth Kelly, who helped shape the entirety of the twentieth century art world, has died. Matthew Marks of Matthew Marks Gallery announced the artist’s death of natural causes last week at his home in Spencertown, New York. Kelly is survived by his longtime partner, Jack Shear. Kelly was known for his vivid and immersive paintings, bold and colorful. He often painted in geometric shapes, artistry that earned him the nickname “cosmic geographer” from New York Magazine art critic Jerry Saltz. Kelly began his art career in France, where he was serving in the United States military during World War II. He remained there after his service to study art through the GI Bill; his first solo show was at the Galerie Arnaud Lefebvre in Paris in 1951. He found inspiration in the shapes and colors of the city around him and often took photographs of things he found that interested him. Of his interest in painting abstract shapes rather than pictures, Kelly said that he’d rather find pictures than create them. “I felt that my vision was choosing things out there in the world and presenting them. To me the investigation of perceotpion was of the greatest interest. There was so much to see, and it all looked fantastic to me,” he told the New York Times in 1996. Kelly later returned to the U.S. to study painting at the School of the Museum of Fine Arts in Boston, residing in a largely abandoned section of Manhattan in a sailmaker’s loft. Kelly began to receive commissions for his art and his career began a steady rise. One of Kelly’s most moving and famous pieces is an installation made for the United States Holocaust Memorial Museum in Washington, D.C. The art piece contains three large white canvases that sit opposite from canvases of varying shapes.